Pop quiz: Don’t you wish you could spend more time in your email? Between managing, reading, writing, attaching, replying to, forwarding, and (on occasion) cursing it, you’re already spending a ton of time in your email. Your inbox has become the mortal enemy of productivity. Most business professionals in the U.S. spend about 6.3 hours a day checking and responding to email, according to The Huffington Post, based on research from Adobe Systems Inc. That’s about 31.5 hours a week, or 1638 hours a year. That’s an impressive number of hours spent shuffling through a depressing amount of email—and a staggering drain on business. 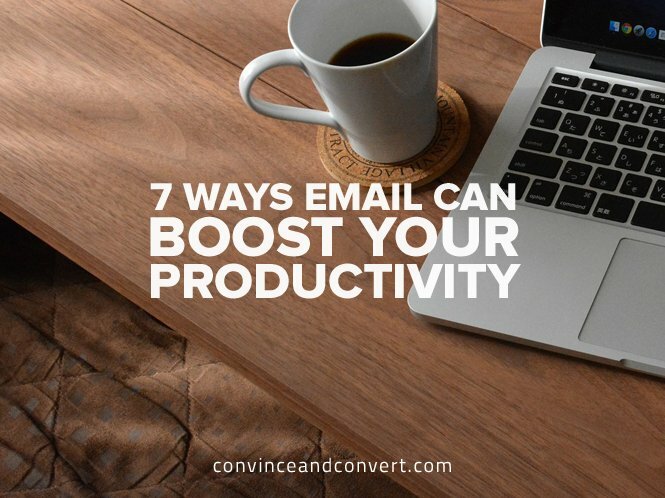 Collectively, workers spend roughly 4.2 trillion hours in email each year, summed from statistics culled through the U.S. Bureau of Labor, McKinsey Global Institute, and The Radicati Group, Inc. It’s no secret: The cost of productivity lost in your inbox is absolutely insane. The average digital advertising pro clocks about 46.5 hours a week at work (That number seems low to me, but for example’s sake, let’s roll with it). That means the median hourly wage in advertising is $22.58 an hour, making the individual cost of email about $36,986 a year. With 2.6 billion business email users, we’re talking trillions of dollars spent on the time in your inbox—$96 trillion, in fact. That’s enough money to give every person in the United States a Lamborghini Huracan (at a cool $300,000 a pop). What if you could realign your day, though? How productive could you be if you were to shift 15 percent of your time (and money) to role-specific tasks that’ll help your agency grow? Shed the excess weight in the noxious beast of your inbox and get back on task. Be more productive. Here’s how. Depending on your role at the agency, start by limiting your email exposure to just a couple times a day. Set up specific time blocks to respond to a bunch of inquiries at the same time, rather than answering them one by one as they come in. To get started, watch the pattern around when your emails come in. Log into your account just once an hour, every hour, for three work days to figure out when your inbox is most active. Create a schedule around those peak hours and only check your email at those times. Clearly, this tactic will be tough for the account execs. Sales is a different pickle in this game, but it’s still a good idea to answer with the batch-and-conquer mentality over racing to respond. Up your productivity game by using your one-to-one employee email as an owned marketing channel. Take a trip with me and scan down to your signature. Are you using it as just a simple sign-off with contact information and, well, that’s about it? This all-too-often overlooked slice of digital real estate can add huge value in your marketing efforts. You’re already sending messaging along to your contacts, but instead of sending an email to answer their question, then another to redirect them to this new piece of content on your website they might find handy, and another to send a link to register for your upcoming event, be tactical in your approach. Sigstr lets you add a custom call-to-action to the signature of everyone in your company to deliver consistent messaging and cohesive branding. It’s the Swiss Army Knife of email. Bonus: One person should be tasked to man all employee signatures for the entire company, meaning you don’t have to worry about spending your time trying to hone your messaging. Someone in your marketing department is already doing it for you (unless it’s you, in which case, look how productive you’re being). 3. Holy Cow, Enough With the Auto-Responses! The one exception here is vacation auto-responders. Those I can stand behind. But there are some people who use auto-responds on their email to inform the sender they’re going to respond to the email later (say, the time they’ve determined best to batch and tackle). I love their enthusiasm for batch-work, but it’s setting an expectation that may not be achievable. What happens if they get busy today around the time noted to reply and can’t reach their inbox? And from a philosophical stance, it’s not a great practice. In an agency, you’re in the business of creating relationships with people. You want to show your recipients you respect their time. What message are you sending if you’re adding fluff-mail to their inbox, especially as you’re struggling to manage your own? Turn off your notifications—all of them: your computer, your phone, your tablet, the works. Every time you hear the ping of an email, it takes your brain over a minute to fully regain concentration. If you switch gears and respond to that email, it takes an average of more than 23 minutes to get back to the original task at full capacity, according to a study from the University of California Irvine. Not exclusive to Buckeye fans, this one comes straight off the backs of the big fellas at Google. Eric Schmidt, the executive chairman of Google, religiously uses the O.H.I.O. (Only Hold It Once) method to manage and send emails. If Schmidt receives an email that’ll take less than two minutes to answer, he’ll respond immediately, so he’s not revisiting small tasks more than once. But if it’s an email that’ll take a little more time and brainpower to answer, he finishes up what he’s working on before switching gears. The human mind works most efficiently if we move naturally through periods of higher and lower alertness. Nathaniel Kleitman, the sleep researcher who discovered the basic rest-activity cycle more than 50 years ago, said we move progressively through five stages of sleep a night through a 90-minute span. But did you know he also figured out our bodies operate by the same 90-minute rhythm during the day? According to an article from the Harvard Business Review, for a boost in productivity, less is more. Work in 90-minute “sprints,” punctuated by 10- to 15-minute “rests” in your inbox. With any type of content, brevity and clarity are fan favorites—and your email is no different. Keep your message succinct and on-task. Skip the open-ended questions, and be proactively specific in your first message. If you’re setting up a meeting with an established client, suggest three specific times, and see which works in their schedule. Speaking of brevity, keep your email signature short, sweet and to the point. You want to use your email tactically, turning it into a new owned marketing channel. You’re aiming to direct readers to specific content on your website, so you want to snag their attention right away. Use clean design and clear text in your call-to-action. Want more tips? Check us out, or join the conversation on Twitter, @SigstrApp. Dan has spent over a decade starting, leading, and growing technology businesses. His experience spans technology recruiting, ecommerce, and marketing technology, and he’s played key roles at companies like Brooksource, iGoDigital, and ExactTarget. His latest business, Sigstr, makes it simple for marketers to take control of branding and marketing in the employee email signature. Try Sigstr free today at: www.sigstr.com.